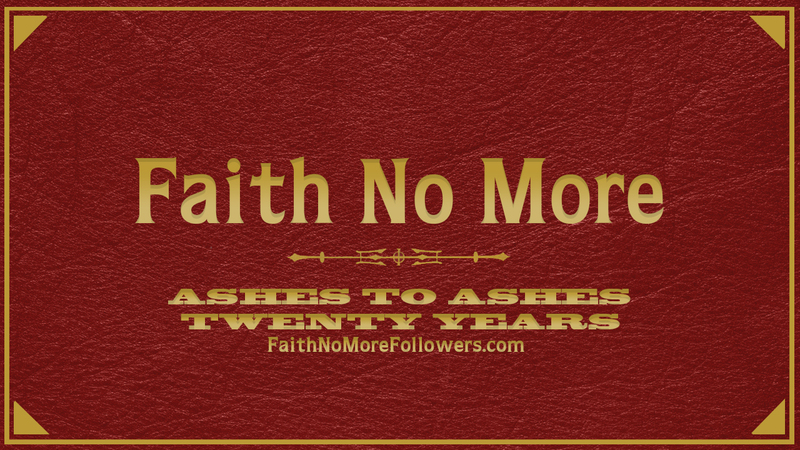 Faith No More released the single Ashes To Ashes on May 19th 1997. 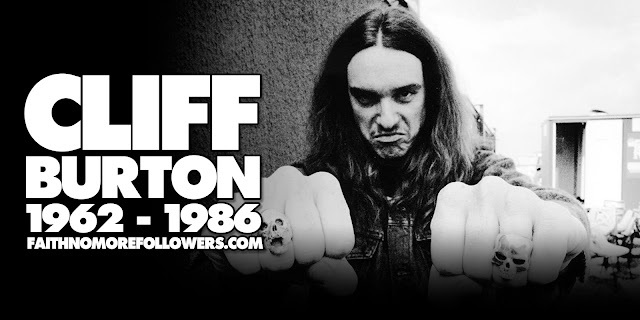 1997 was a bit of a dull year for rock and metal music, it was the beginning of a nu metal era with bands trying to reimagine the early 90s movements. Elsewhere electro dance music was interesting, the happy hippy techno beats had been replaced with more brutal and funkier bands like The Prodigy, Fatboy Slim and music to do heroin to whilst watching trains. It was the first time since the 60's where being British was cool, Brit pop and The Spice Girls took over the world. There was certainly change in the air. Faith No More had changed. 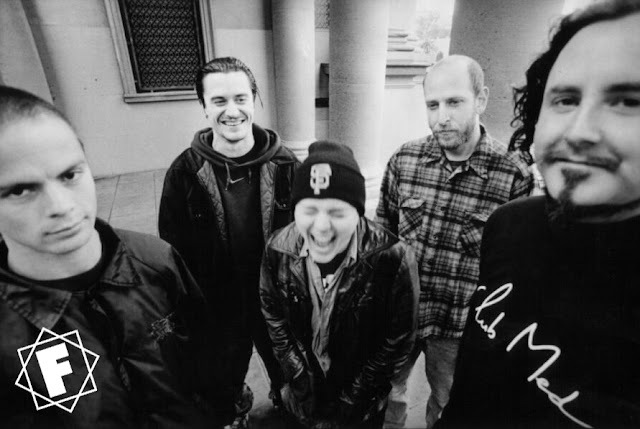 After a brief tour supporting King For A Day... the band had gone separate ways, Mike Patton focusing on Mr. Bungle, Roddy Bottum starting up Imperial Teen and Mike Bordin drumming with Ozzy Osbourne. Yet, amidst rumours that the band had split up, in 1997 FNM surprised fans by returning with a new guitarist and attitude to producing music. 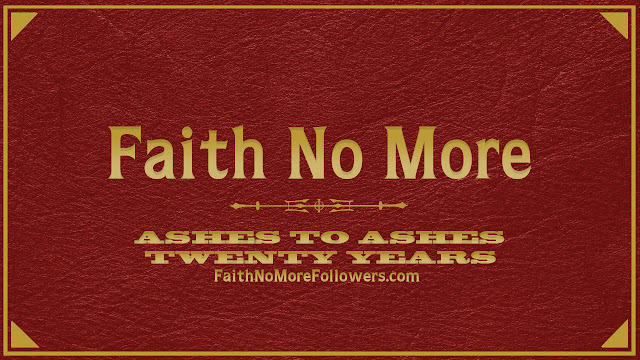 After only around seven years of commercial success FNM were now considered as innovators, fathers of a new breed of metal music and were back to prove they still had one more album of great songs to give. 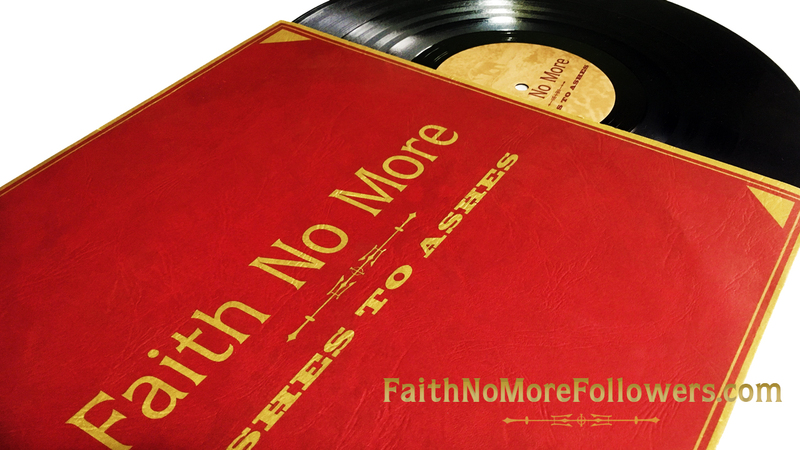 Ashes To Ashes was the premier single released from their sixth studio record Album Of The Year. The song performed well in the charts, number 8 in Australia, 7 in Finland, 15 in the U.K. and 23 in the U.S.
ATA is less punchy and chaotic than music from KFAD, more polished and refined, whilst retaining the full bodied sound that only FNM can achieve. Jon Hudson's guitar brings the metal riff of Jim Martin's days back to FNM after an album of Trey Spruance's eccentric brand of six string magic. 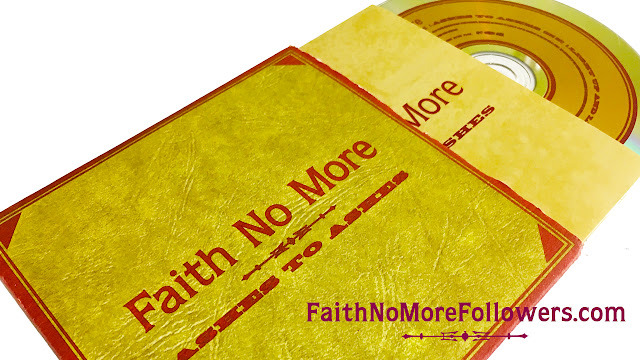 It sets us up for a track we know will fall into the unmistakably FNM category. The sweeping waves of Roddy's keyboard are reminiscent of those found on Angel Dust, and they add colour to Bill and Mike B's ever dependable rhythm section. There is hardly a trace of antagonism in Patton's voice as he croons like Sinatra. The composure of all five musicians make for sophisticated sound to match their pressed tuxedos. The song was written, like most of AOTY, by the band sharing music in the post.In fact no more than two members of FNM were in the studio at the same time. The main difference with this music compared to earlier songs was that it was entirely produced by FNM with Bill on engineering duties. Roli Mosimann brought in for advice. The video was directed by the late Tim Royes. It retains the dark themes of fnm's previous film clips but introduces the new suited and booted look that they paraded during this era. 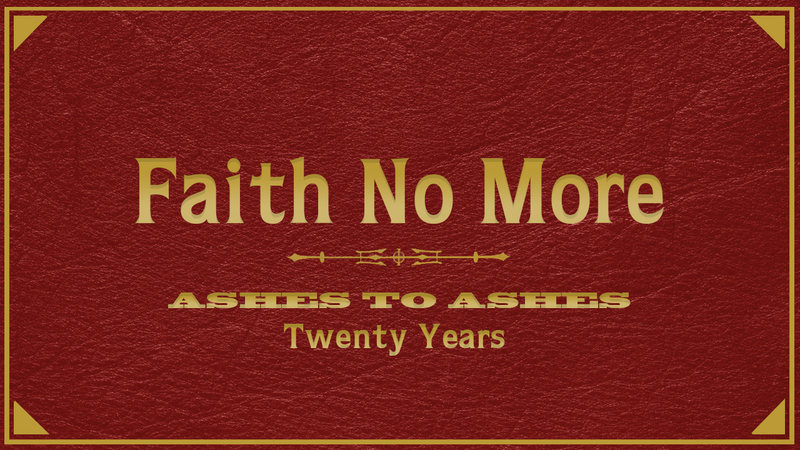 Ashes To Ashes remains a fan favourite and it is still a regular song within FNM's set lists. I love this era. The album is underrated and has a huge sound. The live shows were killer, Hudson brought more accuracy and tightness to the band over menta.